The Queen of Soul died aged 76 on Thursday, following a lengthy battle with pancreatic cancer. Publicist Gwendolyn Quinn said that Franklin passed Thursday at 9:50am at her home in Detroit, surrounded by friends and family. The statement said: “Franklin’s official cause of death was due to advance pancreatic cancer of the neuroendocrine type, which was confirmed by Franklin’s oncologist, Dr. Philip Phillips of Karmanos Cancer Institute." Franklin had reportedly been "fighting for her life" since last week as friends and family rallied around her at her home. On Tuesday, her nephew Tim Franklin gave an update on his aunt’s health, telling fans he believed she would “pull through it”. “We believe she’ll pull through it, she believes she’ll pull through it, and that’s the important thing." Franklin's family thanked fans for their support via her publicist earlier this week. 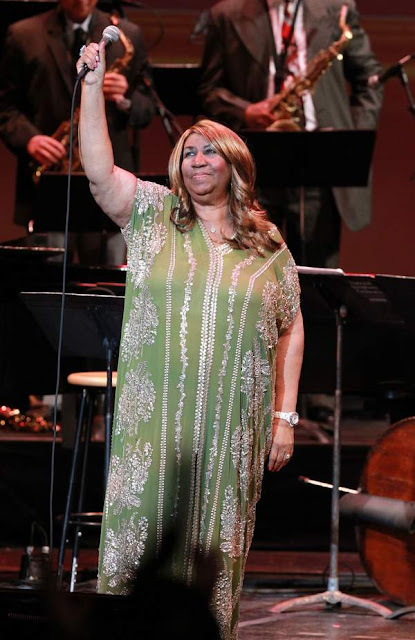 “Aretha Franklin has been the Matriarch of the Franklin family since the passing of all of her siblings,” said Quinn. “The love she has for her family is above reproach and was evident in the warm smiles she was able to share with her nephew during his very brief visit two weeks ago. It is understood that a tribute concert will honour the Queen of Soul this November, spearheaded by legendary music producer Clive Davis. US publication Billboard reports that the one-off show, for which there is no indication of a line-up, will take place at Madison Square Gardens in New York in November. It is thought that the concert will see famous faces cover some of Franklin’s greatest hits, including Respect, Natural Women and I Say a Little Prayer. Franklin first enjoyed commercial success and global acclaim after signing to Atlantic Records in 1967 and releasing songs including Respect, Think and (You Make Me Feel) Like a Natural Woman.